The CEO's absence from public view since the Cambridge Analytica story broke on Friday has created a leadership vacuum at a time of crisis for Facebook. Journalists, investors, lawmakers, and communications experts are all asking the same question about Facebook: Where is Mark Zuckerberg? The Facebook CEO has faced significant media criticism for not proactively addressing reports for the past four days that Cambridge Analytica obtained the private data of tens of millions of the platform’s users. It’s time for Zuckerberg to step forward, say crisis communications experts. "This is the same Mark Zuckerberg that had time to tour the country and go around small towns when people were wondering if he was running for office. Suddenly, he’s absent," says Rose Tantraphol, adjunct instructor in the Advertising + Public Relations Department in Michigan State University’s College of Communication Arts and Sciences. "With every hour he doesn’t step into his leadership role, he’s worsening that leadership vacuum everyone is watching right now." Facebook’s latest turn in the media spotlight began on Saturday, when The New York Times and The Guardian revealed that Cambridge Analytica harvested information on 50 million users. Cambridge then used the data to power its ad-targeting campaign for Donald Trump’s 2016 presidential campaign. Since the revelations, lawmakers in both the U.S. and U.K. have pushed for Zuckerberg and Facebook’s other leaders to appear at hearings. 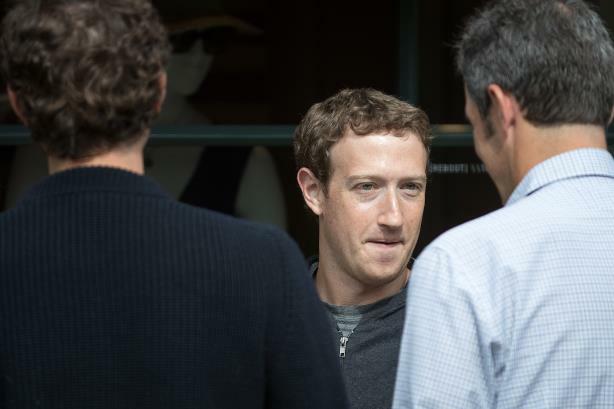 The Facebook CEO is set to make his first public statement on the issue in the next day, according to Axios, contradicting earlier reports that he and COO Sheryl Sandberg would avoid the public eye until Facebook completes an internal review. Facebook declined to comment, referring inquiries to a statement shared with other media outlets that said Zuckerberg and Sandberg are "working around the clock to get all the facts and take the appropriate action moving forward, because they understand the seriousness of this issue." "Whatever comes next has to come from Zuckerberg," says Ed Zitron, CEO of EZPR. "It can’t be a minion here; it definitely shouldn’t be a lawyer. It needs to be a statement from him, even if it’s through someone else, to show they take this seriously." Crisis communications experts also highlight the international nature of the crisis, suggesting Zuckerberg respond to critics in both the U.S. and Europe. "Before he is compelled to do so by Washington, London, Brussels, and other governments, Mark Zuckerberg should proactively take command of this situation and communicate clearly, transparently, and frequently," says Bob Pickard, principal at Signal Leadership Communication, via email. Facebook is also facing significant headwinds in other parts of the world. In Europe, the General Data Protection Act is set to take effect in May across all 28 E.U. states, forcing tech companies that rely on data collection to disclose an unprecedented amount of information. In Asia, Facebook has been accused by the U.N. of playing a role in the genocide against the Rohingya. "It’s time to go to Brussels; it’s time to go everywhere Facebook has an office, and for it to come clean about what they’re doing, what they’re facing, and work together with governments, so they’re not unknowingly working as partners of Russia," says Curtis Sparrer, Principal at Bospar. Other crisis communications experts say Facebook should reach out to key publics as a first step towards restoring public confidence. Jeremy Woolf, EVP of strategy at WE Communications, argues Facebook should take a tried-and-true approach that brings all stakeholders to the table, including "consumer rights groups, advertisers, legislators, and competitors." It should also establish principles for the industry, he adds. "Facebook needs to take a stance on consumer data protection," Woolf says, via email. "Not as a ‘Band-Aid’ for the current issues, but for the long-term health and safety of its brand." Facebook should be especially careful in communicating with advertisers, experts say. A report by Pivotal Research Group indicates that Facebook may restrict what data it shares, "frustrating many of their commercial partners." "This is going to shred advertisers," Zitron says. "They will have an analytics hell going forward." Another tough crowd will be privacy activists. Vasant Dhar, a professor of information sciences at New York University’s Stern School of Business, calls for social media regulation akin to the financial industry. He calls Facebook’s response "willfully inadequate," saying the company knew the risks of handling user data. However, nothing should come out of Facebook without its legal department looking over it first, Zitron says, noting its comms team should not be the first to respond. "As smart as PR people incorrectly think they are in this case, this could enter the realm of ‘everything you say and do can be used against you in a court of law,’" he says, adding that Zuckerberg should be as transparent as possible and make a "human" statement -- or "as human as he can be."